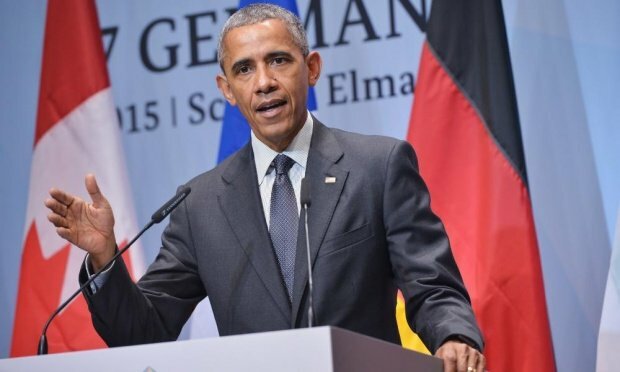 At a news conference in Germany, President Barack Obama has revealed the US does not yet have a “complete strategy” for helping Iraq regain territory from Islamic State (ISIS). However, Barack Obama said a full commitment to the process was needed by the Iraqis themselves. The president had earlier met Iraqi PM Haider al-Abadi on the sidelines of the G7 summit in Germany. ISIS has recently made gains in Iraq despite US-led coalition air strikes. In May the militants seized Ramadi, the capital of Anbar, Iraq’s largest province, as well as the Syrian town of Tadmur and the neighboring ancient ruins of Palmyra. US officials cited a lack of training as a major factor in the fall of Ramadi. However, Barack Obama said that the 3,000 US service personnel in Iraq sometimes found themselves with “more training capacity than we’ve got recruits”. “We don’t have, yet, a complete strategy, because it requires commitments on the part of Iraqis as well about how recruitment takes place, how that training takes place,” Barack Obama told a news conference. President Barack Obama said he was “absolutely confident” ISIS would be driven out of Iraq if Haider al-Abadi has the support of the international coalition as well as a government that represents all the Iraqi people. The president said all countries in the coalition were ready to do more to help train Iraqi security forces. Iraq has become increasingly reliant on Iranian-backed Shia militias to take on ISIS in recent months.